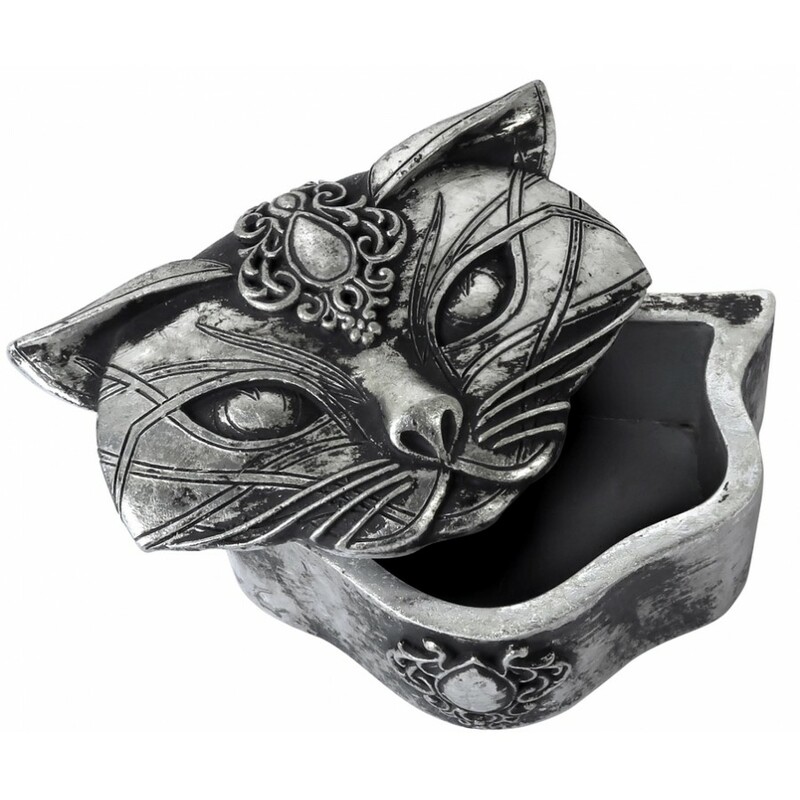 This sacred cat will hold your secrets - and treasures. 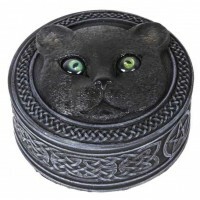 With a lift-off lid, this Sacred Cat trinket box is 4.13 x 2.36 x 2.76 inches. Made of hand painted resin, it has great detail and is a perfect gift for the cat lover in your life. 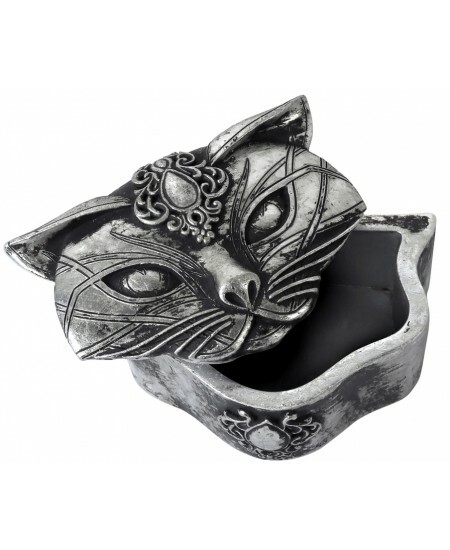 Item Number: AG-V78 | Approximate Size (Inches): 4.13 wide x 2.36 deep x 2.76 high | Approximate Shipping Weight: 0.50 lbs.